Lean flow is a methodology that was developed by Toyota to make its production processes more efficient. Since then, it has been adopted by a majority of machine shops throughout the US and across the world. 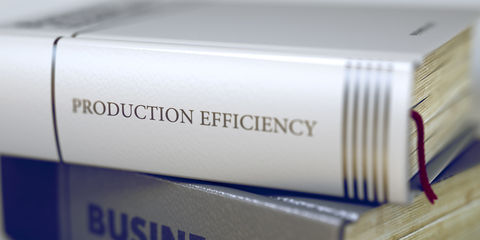 For many of them, use of lean flow has not only allowed them to gain a dramatic increase in competitive edge, but it has also allowed manufacturers to eliminate wasteful processes which had a negative impact on the bottom line. 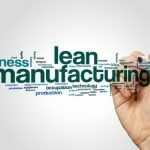 However, the application of lean techniques is not just limited to manufacturing companies, production plants or machine shops; the methodologies can be used by any type of business which needs to produce products or deliver services to customers by using as little of their resources as possible. Flow refers to the progress of work through a system. If a system has ‘good’ flow, then it is working well, with work moving predictably and steadily from one step to the next. On the other hand, a characteristic of bad flow is its start-stop nature. Each time a breakdown of the flow occurs, there is an increase in the chances of accumulating waste. All businesses should strive for a consistent, smooth flow of steps in order to ensure reliable delivery of a product or service, higher quality, greater value and maximum satisfaction for customers, stakeholders and teams. In addition, when the principles of lean flow are applied to an organization’s processes, then there is an increased likelihood of producing goods and services that satisfy the customer and rarely require any corrective action after delivery. 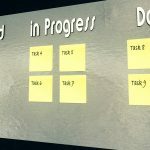 Why Is Lean Flow Important to Production? Lean flow places great emphasis on reducing lead time. This is because excessively long lead times result a backlog of work in progress and finished goods inventory lying idle in storage. If the lead time for a product from the first machining to completion is four weeks, then the company will hold at least four weeks’ worth of inventory within the process, as well as more than four weeks of completed items in storage awaiting delivery. A long lead time severely affects the flexibility and agility of a manufacturer’s processes, which means that the organization is unable to quickly respond to any changes in demand. In addition, it further aggravates the company’s on-time delivery figures, resulting in lost sales and customer dissatisfaction. The long lead times resulting from poor flow and non-adherence to lean practices as well as the excessive number of products stuck in process heightens the risk of defects and lower quality, and can hinder efforts to get meaningful feedback from customers. In order to improve flow, all barriers must be eliminated. 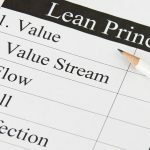 There are both physical and intangible factors that are considered barriers to good flow in lean production. Distance: The result is that items are delivered as a group, instead of shipping individual items. Long Setup Times: Large batches have to be run when there is a changeover in tooling. Poor Maintenance: When there is a frequent breakdown of machinery, flow is disrupted. Unreliable Deliveries: If it is uncertain that parts can arrive in a timely manner, extra machine parts are kept at hand. Unreliable Quality: Extra parts are held in stock if people believe that they may be unreliable or unsuitable. Approval Processes: There is rarely an approver available on constant standby, resulting in a pileup of unapproved items. Lack of Faith: When employees do not believe that flow can be achieved. 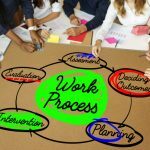 Resistance to Change: Employees may believe that flow can work, but are comfortable with the current processes. When companies get down to identifying and eliminating barriers to flow in production, then improvements can be made to reduce lead times and improve efficiency. In addition, employees need to be educated and trained on the necessity of maintaining flow. Once they understand and implement changes, the employees will start to see that their jobs become easier to accomplish.